At conrad-johnson, development of our flagship products has traditionally led to important enhancements of our entry-level offerings. The ET3 preamplifier is a case in point. The ET3 line-stage is a “baby” version of our flagship line-stage preamplifier, the GAT. The family resemblance is much more than skin deep. With voltage gain provided by a triode vacuum-tube, the zero-feedback line-stage circuit of the ET3, along with its DC voltage regulators, closely replicates the circuit of the GAT. Finally, and especially noteworthy, the ET3 features a relay operated discrete stepped attenuator level-control circuit of the type found in the GAT and CT5, absent only the balance control function found in those more costly models. Functionally, the ET3 provides highly flexible I/O facilities with six separate line-level inputs (including one “tape” loop), plus a theater loop that facilitates use in a home theater system. In addition, the ET3 offers the convenience of infrared remote control of all functions. For vinyl enthusiasts, the ET3 is optionally available with a vacuum-tube phono stage that borrows its zero-feedback audio circuit from our reference quality TEA1 phono stage. 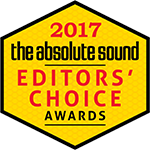 Customers can choose between high gain (recommended for cartridges with a rated output of 1.0 mV or less) and low gain (recommended for cartridges with rated output greater than 1.0 mV) versions of the phono stage. Input resistive loading is switch selectable over a range from 47 kOhms down to 200 Ohms. The ET3 phono stage is built to the same high quality standard found in the ET3 line-stage. Premium quality component parts are specified to optimize performance and to sustain that performance for years to come. Precision, metal-film resistors yield low noise performance for greatest clarity. Polypropylene capacitors, used exclusively in the audio circuits and the regulated plate voltage supplies, offer extraordinary temporal accuracy. In fact, the ET3 is built to standards that meet or exceed those of many companies’ “flagship” offerings. Those who wish to take the performance to yet a higher level will be thrilled by the availability of an upgraded “SE” version. The ET3SE boasts CJD Teflon capacitors in critical circuit applications, dozens of upgraded metal foil resistors (including ALL resistors in the stepped attenuator level control), upgraded machined input/output connectors, and even an upgrade AC mains line-cord. It would be fair to say that the only thing “entry-level” about the ET3 is its price. 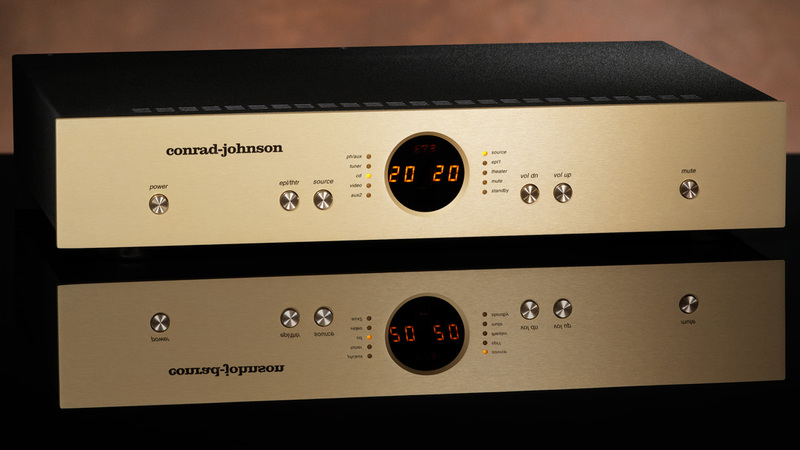 Arrange to audition one at a conrad-johnson dealer to find out for yourself – you’ll be surprised at just how affordable true high-end performance can be. 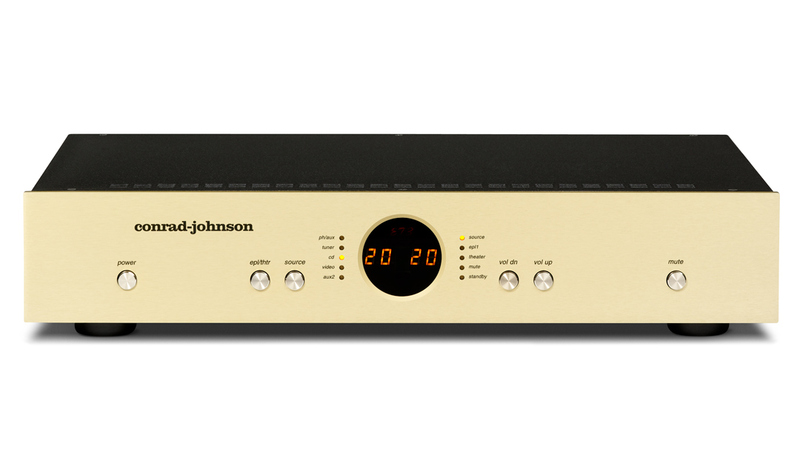 Every conrad-johnson ET3 Preamplifier is patiently and carefully hand assembled, then individually inspected and its performance verified by an experienced audio technician. The owner is protected by our three year limited warranty covering labor and parts except vacuum-tubes. Service is a top priority at conrad-johnson. In the event that a product does require service, it will be handled promptly and efficiently.